That's a French term for the climatic, topographic, and soil characteristics of a place where grapes are grown and wine is made. With a terroir that local vintners liken to France's famed Bordeaux region, South Jersey is seeking to become a destination for wine lovers. "We've got a critical mass of great wineries," Jake Buganski, executive director of the South Jersey Tourism Corp., told the audience at a wine-and-cheese reception Tuesday. "South Jersey," added Buganski, whose organization promotes tourism in Burlington, Camden, Gloucester, and Salem Counties, "is a budding wine region." The event at the Camden County Boat House in Pennsauken drew about 70 people to a second-floor space that offered dramatic views of an ice-silvered Cooper River. A trio played live as servers poured Bordeaux-style reds, dry whites, and semisweet varieties from the Auburn Road, Bellview, and Coda Rossa wineries. South Jersey commercial vineyards have tripled in number - to 30 - since 2005. "There hadn't been a market," said Scott Donnini, one of the owners of the 25-acre Auburn Road Vineyard & Winery in Pilesgrove Township, Salem County. "And now there is." A report commissioned by the Garden State Wine Growers Association calculated the number of jobs in the state's wine industry at nearly 1,500, and the "full economic impact" at $231 million. And that was in 2011, the year before New Jersey began allowing small wineries to sell directly to consumers. 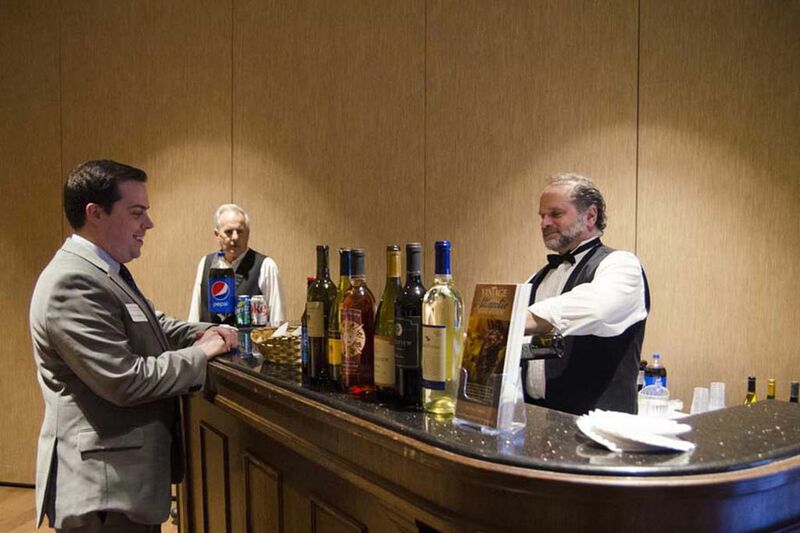 "I believe the blossoming of the New Jersey wine industry is going to have a major impact on visitation, particularly in the southern part of the state," said John Cifelli, executive director of the growers association. The tourism corporation is promoting three South Jersey wine trails - the "Two Bridges" (between the Delaware Memorial and Commodore Barry), "Pinelands," and "Cape May" trails - as well as historic sites, cultural venues, and downtown shopping districts. "We're trying to get the local wines into local restaurants," Buganski said. "We want to offer an experience a customer can't get anywhere else." The interest in South Jersey wine dovetails with the increasing popularity of locally grown and organic foods, as well as of farmers' markets, farm-to-table dining events, and community supported agriculture cooperatives. The wine boom also helped refocus the corporation, which last year rebranded itself as "Visit South Jersey" and has a photo of luscious grapes on its new visitors' guide. "We had tried to develop several other niches, such as heritage tourism and ecotourism, but we weren't able to [create] economic impact," Buganski said. "We had to decide, what is going to draw people?" recalled Jack Tarditi, chairman of the corporation's board. "Wineries and wine trails tied into local restaurants . . . support the agricultural industry," he said. "The wineries themselves become a tourist attraction. And they're a way to bring people into some of our small towns." A former mayor of Haddonfield and an unabashed South Jersey booster, Tarditi predicted the area could become "the Napa Valley of the East." While that might strike some visitors (or residents) as a bit overripe, Buganski says it's a way to suggest the potential. "Perception is what we're battling," said Donnini, who added that by cross-promoting South Jersey wineries with those in nearby portions of Pennsylvania and Delaware, "we can be to Philly what Napa is to San Francisco."